With over 25 years of consulting, account management, sales and marketing experience, Verna understands both the client and agency sides of business. She is a seasoned consumer insights-driven strategic marketer and brand builder. 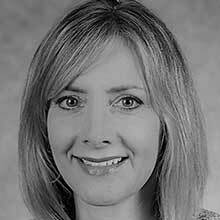 Verna served as the Associate Vice President for Marketing Strategy and Branding at DePaul University. At DePaul, she spearheaded the university’s first integrated marketing initiative including brand identity research, brand architecture, and brand positioning. Over her 10+ years at DePaul, Verna built the university’s reputation as a branding leader in the higher education industry. She also assembled a team of marketing professionals which provides consulting services on many significant university initiatives including strategic planning, academic partnerships, campus expansion and building new and existing markets. Verna started her career at Information Resources Inc., an international consumer market research firm, working in account management, marketing and product management. She last served as Vice President for New Product Solutions before she made the move to DePaul University. Verna holds a Bachelor in Business Administration from The University of Iowa and Master’s Degree in advertising from Northwestern University’s Medill School of Journalism.